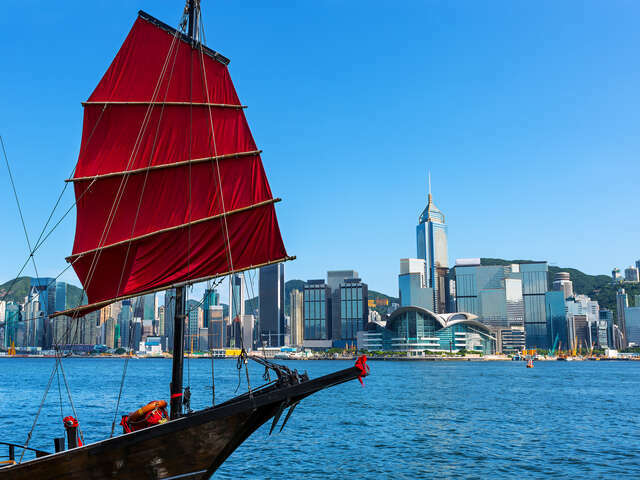 Start your trip to Hong Kong | UNIGLOBE Direct Travel Ltd.
Hong Kong ("Fragrant Harbour"), officially known as Hong Kong Special Administrative Region of the People's Republic of China, is an autonomous territory on the southern coast of China at the Pearl River Estuary and the South China Sea. It is known for its skyline and deep natural harbour. It is a world-renowned shopping paradise, known for its tourist-friendly atmosphere and numerous options. The huge shopping malls of Central, Admiralty and the street fashion factory in Causeway Bay are reasons for many travelers to make their Hong Kong trips. Home to around 7.2 million Hongkongers and other nationalities, Hong Kong is one of the world's most densely populated regions!